For small parcels shipping to the UK, we offer a flat-rate of £3.45 per parcel up to 2kg, which includes both packaging and VAT. Shipping weight is automatically calculated at the online checkout, and if your parcel is greater than 2kg, it will bring up alternative delivery options for you. Delivery estimate is 5-10 working days. Working Days in the UK are Monday-Friday. For parcels shipping to the UK, we offer a flat-rate per 30kg parcel, which includes both packaging and VAT. Delivery estimates are from day of dispatch. Working Days in the UK are Monday-Friday. If selecting our ‘Next Working Day’ service, please note that this is from the day of dispatch. We will endeavor to pack and dispatch orders placed before 12 noon on the same day, subject to product availability. Orders placed on Friday before 12 noon should arrive on the following Monday (not including Bank Holiday weekends). Please note delivery time-scales are estimates and that addresses at the edges of the UK Mainland postal zone may find delivery takes slightly longer. Please note that due to the exclusion of the Channel Islands from the EC for tax purposes, we are currently unable to deliver parcels there. Please also note that unfortunately, we are unable to deliver to BFPO addresses. Due to the current uncertainty around Brexit, we have temporarily suspended shipping to Europe. *Exceptions may apply for some islands and independent regions etc. Please contact us if you require any clarification. 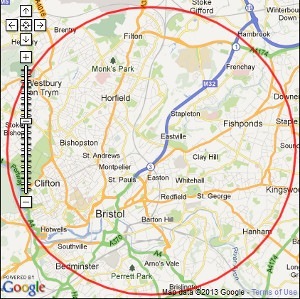 If delivery address is within 3 miles of our store, you can use our ‘local delivery service’. The cost of our ‘Local Delivery’ service is a flat rate of £3.99 with no weight restriction. If you are ordering over £35 of goods for local delivery (within 3 miles of our store), you will qualify for FREE local delivery! Local deliveries are dispatched on Sunday, Tuesday and Thursday. If you wish for a different delivery day (Monday-Friday), please add a note in the order comments. We will do our best to accommodate this, but cannot guarantee that we can deliver outside of our standard local delivery days of Sunday, Tuesday, Wednesday and Thursday. In rare instances, your order may be put on hold to ensure we have the freshest goods for you before we dispatch. Please provide a contact telephone number when ordering, so we can contact you if we need to. Fresh and frozen items may only be purchased if delivery address is within 3 miles from our store. This is to ensure that our goods reach you in the best possible condition. Delivery of orders including fresh and frozen items cannot be split, and must be made via our ‘local delivery service’. Orders dispatched via our ‘Local Delivery’ service cannot be left unattended. If you, or a neighbour are not able to receive your order, you must contact us to arrange redelivery (stating name, order number, contact telephone number and confirming delivery address). Delivery will be attempted twice. In the event that delivery is unsuccessful on both attempts, management reserves the right to charge an additional delivery fee at the standard ‘Local Delivery’ shipping rate. Alternatively, the order may be cancelled and the cost of goods refunded, excluding shipping costs. In the event of the order having FREE local delivery, the standard ‘Local Delivery’ shipping rate will apply. All deliveries will be considered as received in good condition unless you specifically sign as ‘damaged’ or ‘opened’ etc. ‘Unchecked’ will not be accepted as a valid status. Parcels with age-restricted goods must be signed for by someone over 18 (ID may be requested) and cannot be left if there is no-one there to receive them. If you request your order to be left unattended (not applicable for age-restricted goods), WaiYeeHong.com and Parcelforce may not be held liable for any loss, damage, or delay arising howsoever from delivery. We would recommend that delivery is arranged to an alternative address or neighbour where someone is able to receive the parcel. By requesting the parcel to be left unattended, you agree that it shall indemnify WaiYeeHong.com and Parcelforce against all actions, claims and demands in respect of any loss, damage, injury or death arising from the delivery of your parcel. WaiYeeHong.com are not obliged to pass on instructions to leave parcels unattended. In some cases it may be deemed unsuitable to pass on instructions for orders to be left unattended, for example if the order is of a high value. Whilst we will do as much as reasonably possible to ensure you get your parcel, WaiYeeHong.com cannot be held responsible for failed deliveries. Parcels that are returned to WaiYeeHong.com following failed delivery will be refunded minus the cost of shipping. WaiYeeHong.com makes no guarantee that your products will arrive within the timeframe selected and cannot be held liable for any loss, damage or expense resulting from any delay in delivery. If your goods are not delivered on time, it does not give you the right to cancel your contract with WaiYeeHong.com. If you wish to return any items, please follow the instructions laid out in our returns policy. Goods will be delivered to the address as specified by you on the online check-out form. WaiYeeHong.com cannot be held responsible for any lost or damaged packages resulting from an incomplete or inaccurate address. Contact us via email moc.g1555916111nohee1555916111yiaw@1555916111seiri1555916111uqne1555916111. If we receive any returned goods without our prior knowledge we reserve the right to refuse them. All products must be returned sealed and in a saleable condition unless faulty or defective. We recommend that you return items using recorded delivery as we cannot assume responsibility for anything you send back until we have received them. Once we have processed your return you will be refunded the cost of the item(s) being returned. A product was found to be faulty or damaged. A product was sent in error. In both cases, we will endeavour to replace your product with the same or similar item and reimburse you with delivery costs. Should no substitute product be available, we will give you a full refund including delivery costs incurred with returning the item. Returns of products bought on promotion will be refunded at the promotional price. Please allow 28 days (not including delivery time) for us to process your return.